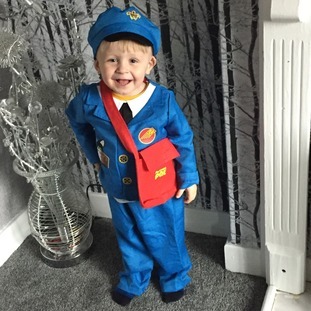 Children across the region have been marking World Book Day with creative costumes celebrating their favourite characters. At Hartley Brook Primary School, in South Yorkshire, a parade of imaginative outfits took place this morning. Teachers described the parents' support as "fantastic" and said the event helped encourage children to embrace books. All day, viewers have been sending in pictures of their children dressed up for the occasion; the ones below are just a selection. Loveden, age 4, and Eddison, age 5, as the characters from Alice in Wonderland – complete with Cheshire cat!